If you don’t eat your rice…. If you don’t eat all of your rice then when you’re sleeping your soul will leave your body and look for the rice cooker (laughs) and then you will get trapped in it or something like that (laughs). The informant told me that her friend told her this belief when the informant was nineteen but that the belief is usually told to little kids when they do not want to eat their rice. According to the informant she believes that this folk belief is told to kids by their parents so the kids will eat all of their rice and not be wasteful. She believes that the parents tell their kids this because they think scaring their kids will work. Although my informant heard about this saying from a friend her friend was told about this belief from her parents. The informant’s friend is Chinese born in the Philippines so the informant believes the belief exists among all Asians, although in different forms. She believes this because she was also told about a belief pertaining to not eating rice by another friend who is Asian as well. I asked the informant if her parents ever told her anything pertaining to something bad happening if she did not eat her rice and she said no, her parents just told her to eat her rice. My informant is currently 20 years old and is a student at USC. She is of Asian descent but does not speak any other language besides English. She is very involved in the USC Nikkei Association which is an Asian club on campus. I enjoyed hearing about these beliefs because I have never heard any of them before. I agree with my informant that these beliefs are mainly told to little kids as an effort from their parents to get them to eat their rice. Not knowing many Asians myself, I would not be able to say whether these beliefs are common among all Asian groups like my informant believes. I think these are the type of beliefs that are taken very seriously when the person is young but are taken as being silly when the person grows and are just remembered as childhood folklore. I collected this from a friend who happened to be studying this for another part of a Japanese cultural festival. He learned them from his parents, who had learned it from their parents as well. To him, they originally sounded very foolish and nonsensical. However, after looking into the context of what they were based on, he said that he understood why the people acted that way. To him, words have a lot of power, especially in the Japanese language. By not being careful with what you say, then it could have truly harmful effects on other people. 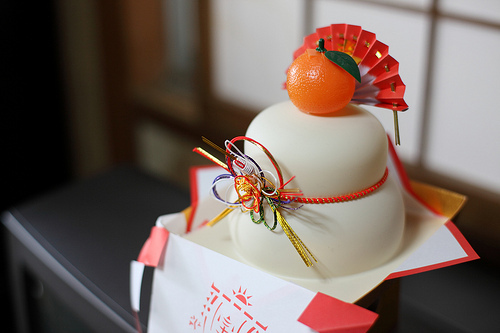 It is very traditional and a part of his culture, so he was glad to share it. It was collected prior to the cultural festival, but it was at nighttime. The lights were on in the room we were in, but they were dim and the air was stale because the windows were closed. You are not supposed to do anything related to the number 4, which sounds like the word for “death.” One application of this is that you are supposed to avoid sleeping in a room that has 4 somewhere in the room number. Another is that when giving gifts, you don’t want it to have 4 parts to it, or else it will bring bad luck. You are not supposed to sleep facing north. Dead bodies are placed so that their head orients to the north. By sleeping in the same way, it invites you to die because you are now in a similar position to the dead bodies. Malicious spirits might attempt to take advantage of that. When a funeral car passes by, you must hide your thumb. In Japan, the thumb is called the “Oya yubi,” which means “parent finger.” By not hiding your thumb, it means that your parents will be taken away by a funeral car very soon. You are not supposed to step on the cloth border of tatami mats, because that will bring misfortune to you. You do not stick chopsticks upright in a bowl of rice. That is symbolically done when you are offering food to the spirits of your ancestors. In particular, this tends to happen more at funerals. However, by doing that elsewhere, it is disrespectful and you are inviting ghosts into your home, which may have a catastrophic effect on your life. You are not supposed to give potted plants to ill people at the hospital. That will curse them, because it means that they will be rooted to the hospital, extending their illness. As a result, they can be given cut flowers, but not potted plants. After attending a funeral, you must be sprinkled with salt so as to purify the spirit of the dead that may have followed you home. Mirrors must be covered in a home, and must not be placed in front of a window. At night, it is possible that a ghostly woman will come out of the mirror to steal your soul or to eat away at your life. By placing mirrors in front of a window, the good energy that is coming in from the sun will be reflected back out, leaving you with no good energy at all. By going to a shrine, it is possible to acquire charms that are blessed in specific ways, such as “getting into a good university” or “always having good friends.” They are blessed by the priests, and usually have a lasting power of 1 year before they must be renewed again. A branch of a peach tree is known to have purification effects. Keeping one with you is said to help ward away evil spirits so that they cannot get close enough to you to harm you. There is a game called shiritori which requires two people. The last syllable of the word the first person says has to become the first syllable of the word the second person says. The cycle continues as each person takes the previous last syllable and makes that their first. That is supposed to actually be a charm to keep away evil spirits in the night if you are walking with a friend and there is no one else there. Sea salt is actually a very strong purifying item. Throwing it at evil spirits will make them flee from you or be exorcised. Some of these traditions are shared with the other Asian countries, so they felt very familiar and understandable to me. They are also part of my own culture as well, which is why they have significance to me. I understand that people act this way, and I understand why. These superstitions do sound silly at times, but they also have good intent. They are warnings to ensure that a positive future can be acquired. Either that or they are ways of gaining good fortune and keeping away evil spirits. This folklore was told to me by my father. He immigrated to America 40 years prior to this date. Having grown up in Korea and then having moved to the United States, he had experienced a slight culture shock. In living here for so long, he essentially gave up a part of his culture as a Korean-American because it was just so unused. I had asked him how I old I was in Korea because they had told me while I was there that I couldn’t drink yet because I was off by a couple of months. In America, I’m off by 3 years. So I asked him what system people used to measure age in Korea, and this was the answer he gave me. I just sat there and listened as he recounted the traditions that he used to follow in an older generation. Eastern age is different from western age. It’s counted differently. Asian people actually count the 9 months in the womb as 1 year, so when a baby is born, it is already called 1 year old. After that, the birthday is no longer really important. It is still celebrated as a legal day of when your age increases, but that is not the traditional way of measuring age. Actually, you gain one year on the New Year’s Day every year starting from when you are born. As a result, ages can be quite varied. Children who were born on February 9th this year were considered one. However, as soon as it became February 10th, which was when Seollal was, they were considered 2. They are only a few days old legally, but in the Asian culture, they are two. As a result, two standards of measuring age are used. One is used in everyday life in terms of people interactions and fortune telling, which is a part of Asian life. It is rare that people will ask for your legal age, unless you are doing things that involve the government and whatnot. In terms of trivial matters, then it is only your eastern age that matters. The other method utilizes the Western way of measuring age, which is you turn one a full year after you leave your mother’s womb, and is used for legal purposes. This tradition is actually starting to die out in Asia when people no longer recognize the lunar calendar as well. Some people still do celebrate their age on the New Years, however, so it does have some people who still practice this. This tradition only really applies in Asia, however. In coming to the United States, everybody had to rethink about how old they were because non Asians don’t utilize the same system to count age as we do. All of a sudden, everybody’s age dropped by one to two years because they were no longer considered one at birth, and they gained age on their literal birthday rather than the coming of the new lunar year. I thought that this system was very interesting. It uses a system ultimately very different from the Gregorian calendar that is currently in place. It is not so applicable to me because I live in America, where we use the western way of counting age. However, when I talk to fellow Asian students, they often ask for my Asian age rather than my real age. That is really the only chance that I have to embrace my Korean culture in terms of time. So in a sense, it is important to me because it is something that I can do. However, in the broadest sense, this is an interesting practice that seems to have stemmed from a different origin entirely in comparison to the system that non Asians use to measure time.